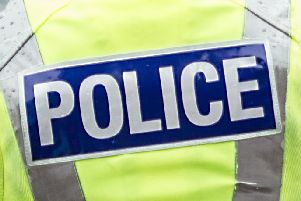 Police seized drugs said to be worth up to £39,000 after a surveillance operation led them to a garage in Motherwell. John Clemmett was spotted carrying items to and from the lock-up in Glen Court. A search warrant was granted and officers recovered herbal cannabis with a potential value of more than £29,000 and amphetamine that could have fetched £9520 if sold in one gram street deals. Clemmett (63), of St David’s Place, Larkhall, appeared at Hamilton Sheriff Court last week. He admitted being concerned in the supply of the Class B drugs on September 9 last year. Paula Russell, prosecuting, said police were carrying out surveillance of another person, who has since died, and watched a car arrive in Glen Court on the day in question. Clemmett was then spotted walking between the vehicle, a flat in Glen Court and the lock-up which belonged to him. Five kilos of herbal cannabis and almost one kilo of amphetamine were recovered. Defence agent Ali Murray admitted his client could easily be sent to prison, given the amount and value of the drugs. However, he told the court Clemmett has heart problems and suggested an electronic tagging order could be imposed instead. Sheriff Marie Smart said she wished to study a “full range” of reports before passing sentence on September 27. Clemmett had his bail continued.